pro-mix & they are watered on a mat that soaks up the water/fertilizer from the bottom drainage holes. A few of them have been getting ugly yellowing/brown leaves that eventually die (rot, I think).  I get this at times when my Phals need repotted in spag/bark mix! this way! Thanks for any info you can give me. get to about 85 degrees during the day & 75 at night! That’s quite a Phalaenopsis collection you have there! 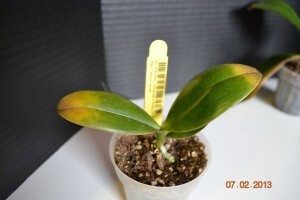 Yellowing leaves like you’ve demonstrated in your photos can be a result of rotting roots. 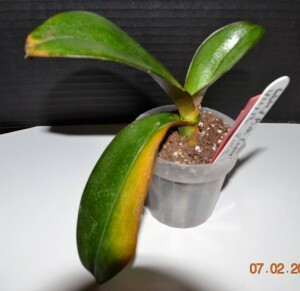 We suggest that you remove the Phals with yellowing leaves from their pots and carefully inspect their roots. Root rot can cause foliage to turn yellow and die off, and if left to continue rotting, the plant will eventually die. Healthy roots are green or greenish yellow in color and firm to the touch, while rotten roots feel mushy or hollow and turn brown in color. They may even smell bad!